In just a couple more weeks, the youth in Cofradia will be starting our 9th year of EL RETO (the Challenge). Here's the flyer, we need to raise $2000. Click here to make your "EL RETO" donation at the Cofradia location. We have been in Washington State for four weeks now. The first week we spent resting and enjoying the parents/grandparents during 4th of July. The next two weeks we got caught up and finished homeschool with the girls, visited a few people, and have been helping Gateway Español leading worship. This last week we went to Lake Cushman and camped for three nights. We love to go camping and spending time around the campfire, riding bikes, hiking, and fishing. The surroundings are a wonderful gift from God. We also traded in our 2005 GMC Canyon for a 2004 Toyota Tundra that will give us more space. We are really excited about the “new” truck. We will be here for the next three weeks and would love to see you. 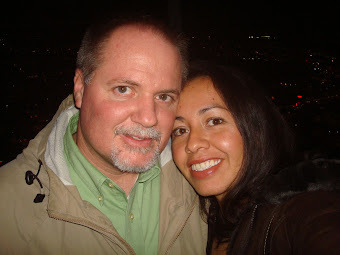 Please email us or call 360-265-4545 to let us know when a good time to visit is. The ministry in Cofradia continues to grow strong. They recently held a baptism of 7 locals. You can check out a quick video/slide show here. Pastor Gollo has been leading a men’s prayer every day in the morning and evening. It was a joy to talk with him over the phone the other day and hear who has been faithfully participating. What a blessing. God is going to continue to do some great things! The Student Ministry is in the process of preparing for our annual youth outreach. This year’s budget is $2000 us dollars. Everyone is excited for what God will do this year as the theme is “Faithbook”. PLEASE JOIN US AS WE REACH OUT TO YOUTH AND RAISE UP LEADERS. You can read more here and see how to send a donation as well. The Worship Ministry is hanging in there. In my absence I have tried to fill in spaces with volunteers and visitors. Please pray that the Lord provides the congregation with the Worship Leaders needed for the services. We have a number of needed items we’re praying for and searching for. If you can help in any of these areas, please let us know. PLEASE NOTE THE NEW MAILING ADDRESS FOR ALTERNATIVE MISSIONS SUPPORT. Another way to donate is by sending a check made out to Alternative Missions to Alternative Missions / PO Box 3107 / Ferndale, WA 98248. On a separate note, indicate that it is for The Silbermans. The Cofradia Student Ministry is gearing up four our 9th annual Youth Outreach called "EL RETO" or The Challenge. 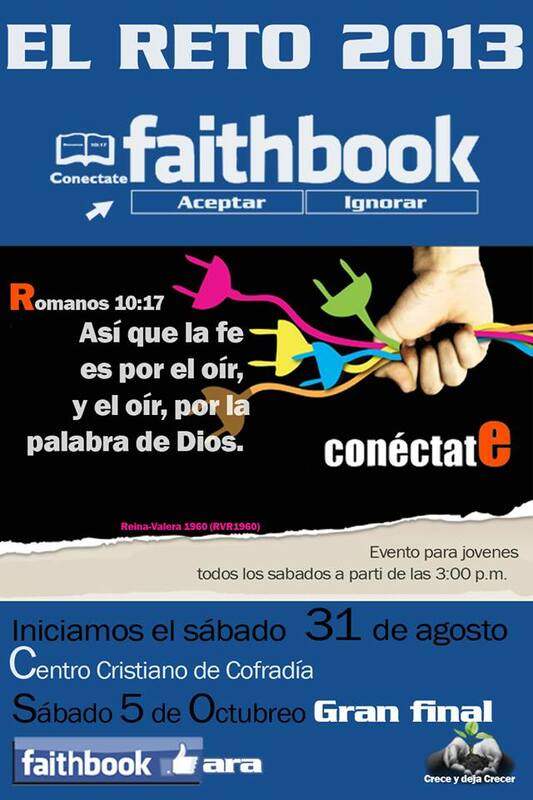 This year's theme is "Faithbook: Get Connected" with the idea being pulled out of Romans 10:17 "faith comes from hearing the message, and the message is heard through the word of Christ." It's looking to be a very exciting time as usual. In just a few days, the staff will hold a Captain's retreat as they train and prepare the student captains for what they are about to encounter. This is always an exciting time in Cofradia!! Please be a part of this event by sending a donation. We need $2000 dollars this year. Checks can be made out to Alternative Missions with separate note saying "Cofradia Reto." OR you can donate to the Cofradia location online here and add "Reto" in the note section.